The American Academy of Pediatrics (AAP) is changing its stance on fruit juice for children. 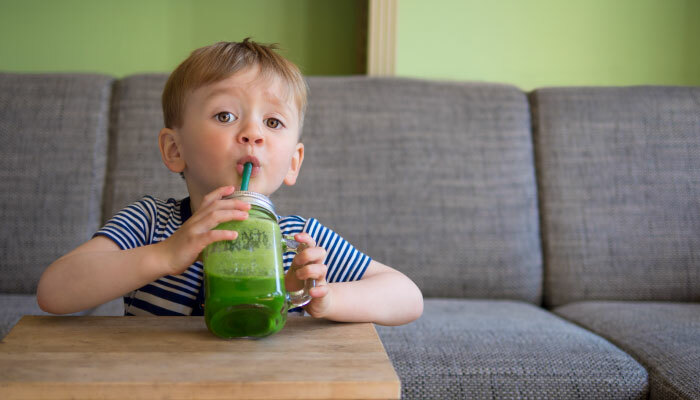 The statement says fruit juice doesn’t offer any nutritional benefits to children under the age of 1 and should not be included in their diet. It marks the organization’s first change in recommendations on fruit juice since 2001. Until now, the recommendation was to avoid juices until the 6-month mark. The AAP sites increasing obesity rates and concerns about dental health as the reasons for the change. Dr. Cyr says breast milk and formula should be the primary liquid offered to babies until solid foods are introduced around the 4 to 6 month mark. “Breast milk and/or formula provide the most appropriate mix of protein, fat, carbohydrates and electrolytes. It is okay to begin giving small amounts of water between 6 to 9 months of age if your child would like something to drink during meals,” Dr. Cyr says. While many parents think fruit juices are healthy, they are not a good substitute for fresh fruits, and they are loaded with extra sugar and calories. Dr. Cyr says most of the benefit of eating whole fruits comes from the fiber content, which helps promote intestinal health and makes you feel full. The process of making most juices eliminates the fiber content, so you are left with just sugar. “The high sugar content in juice can be difficult for little ones to absorb in their intestines and can lead to acute or chronic diarrhea. Lots of sugar contact with teeth can also significantly increase your risk of cavities,” Dr. Cyr says. Dr. Cyr says if you are concerned about vitamin and mineral intake, talk with your doctor about your child’s requirements. A daily multivitamin is likely just as effective in providing extra nutrients if needed, without all the unwanted sugar. If you’re concerned with products like Pedialyte, Dr. Cyr says don’t be. They are actually very different than most juice and sports drink products. The sugar content in Pedialyte is much less and has more salt and electrolytes than most other sports drinks and juices. If you have specific questions about your child’s diet, contact your primary care provider.